If you are using Google’s Chrome browser for the desktop (and why wouldn’t you?) 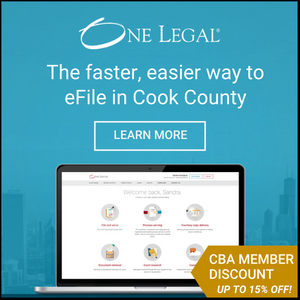 did you know you can have it open to whatever page – or pages – you want? If you like to see your Gmail when opening the browser in the morning or headlines from Crain’s or the weather for the day you can set Chrome to open one or many pages to get you going. Or, perhaps you would like to continue where you left off from the previous browsing session? Read on to learn how! By default the Chrome start page (the page Chrome shows you when you launch the browser) shows the Google search bar and thumbnails of the websites you most frequently visit. However, you can change that to open any page or pages that you want. 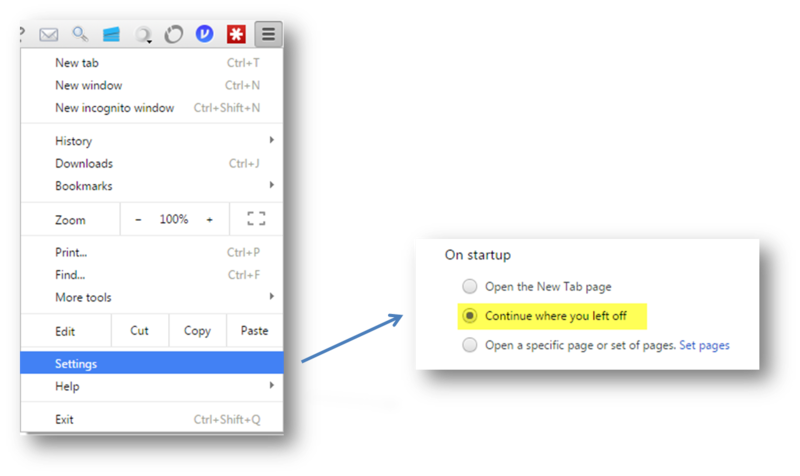 To set the browser to open a specific page or pages when you launch you will need to be signed into Chrome. Then in the top right corner click on the Chrome menu (three horizontal lines stacked on each other). 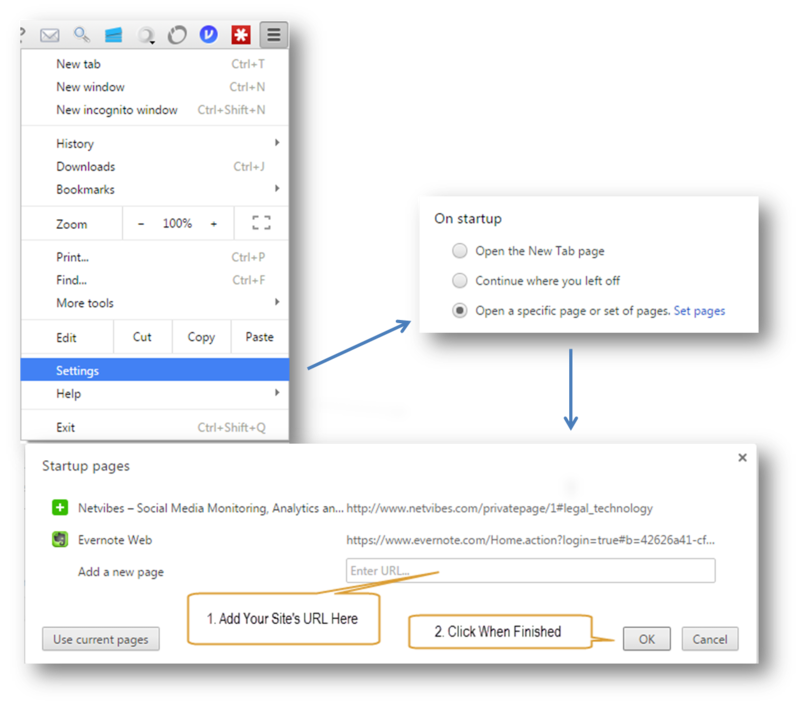 Click Settings – On Startup – Open a specific page or set of pages. Then click “Set pages” and enter the web address of the page(s) you want to see when you open Chrome. Then click “OK”. If you would like to see the last tabs you had open before you closed the browser click on the Chrome menu in the top right and then click “Settings”. Under “On Startup” select “Continue” where you left off. If you allow cookies to be saved you will still be logged into any websites you were visiting before. If you do NOT want to be automatically signed into these pages in “Settings” go to “Show Advanced Settings” and under “Privacy” click “Content Settings”. Under the “Cookies” section choose “keep local data only until you quit your browser” and then click “Done”. When you close your browser you will be logged out of all the sites you were logged into. This is a good security measure, especially if you share you computer. In addition to the start page, Google’s Chrome also has a Home page you can enable and customize. This is located next to the left of the address bar. In “Settings” go to “Appearance” and check “Show Home button” and below that click “Change” to choose your homepage. Finally, the Bookmarks Bar in Chrome will link you directly to your favorite sites. When adding bookmarks click on the star icon in the address bar then choose “Bookmarks Bar” from the drop-down menu. You can add folders (and subfolders) to the bookmarks bar too! If you want to add a bookmark or folder of bookmarks just go to the Bookmark Manager (CTRL + Shift + O in Windows; CMMD + Shift + 0 in Mac) and drag and drop the icon or folder into Bookmarks Bar. Be aware you have limited space in the Bookmarks Bar so choose wisely. If you can’t see the Bookmarks Bar go into “Settings” and under “Appearance” choose “Always show the bookmarks bar”.